These strange beings from within the mysterious Dzen have begun to appear in greater numbers throughout the RezX. They seem to hold a strange connection and understand of the Aetherium, and the RezX was quick to notice this and take advantage of it. Hotaru are normally hired as guides that the RezX employ to help explore the furthest reaches of the frontiers. They make capable warriors, able to rain a flurry of blows down upon an enemy in rapid succession. 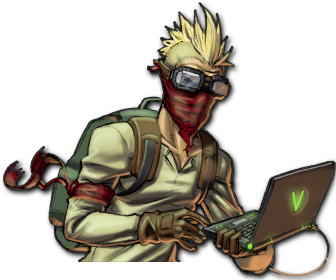 They are also great at disrupting an enemy’s control over Pylons, allowing a cunning RezX avatar to take advantage of a sudden vulnerability.